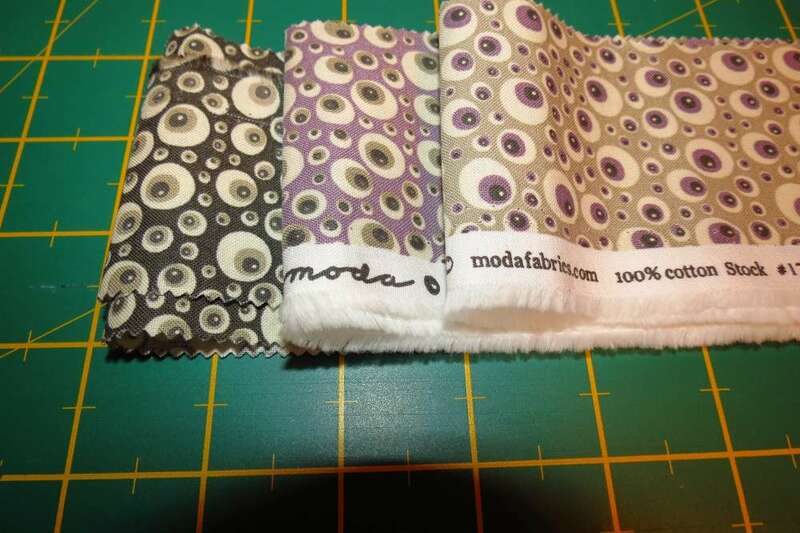 If you a Moda Addict, as I am, you may have bought at some point in the past a Moda Scrap Bag. I have bought a few in the past in local quilt shops. The only trouble is you can’t unwrap the roll when purchasing so you are not always sure of the exact patterns, just an overall impression of the colour range & style involved visible through the window in the bag. 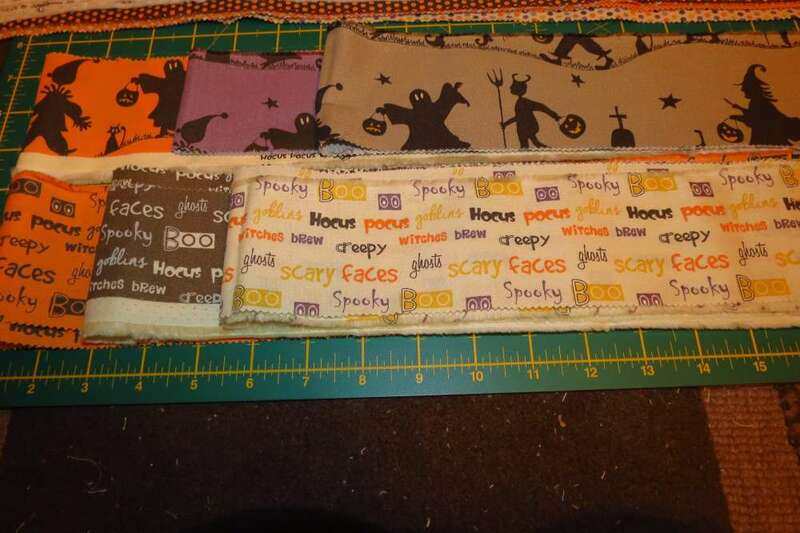 It is a bit of a gamble, unlike buying a jelly roll where you know exactly what you are buying, as some Scrap Bags might be from the same designer, but from different ranges. Here is my journey in case you have one too, to give you the courage & enthusiasm to use them. I had a few lurking in my stash. 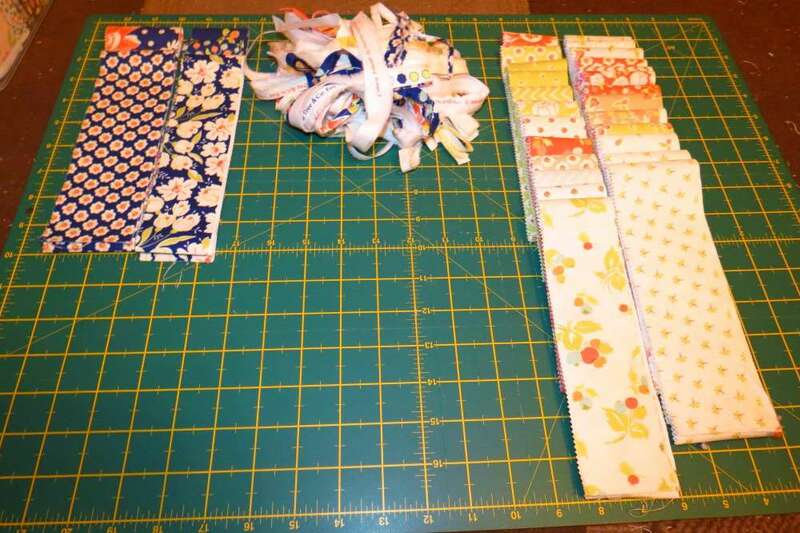 I am a great supporter and fan of an initiative started by a dear friend Maggie Lloyd-Jones called Quilts for Christmas Dinners for Care Leavers, so I thought I would dive in and get some prepared for piecing. 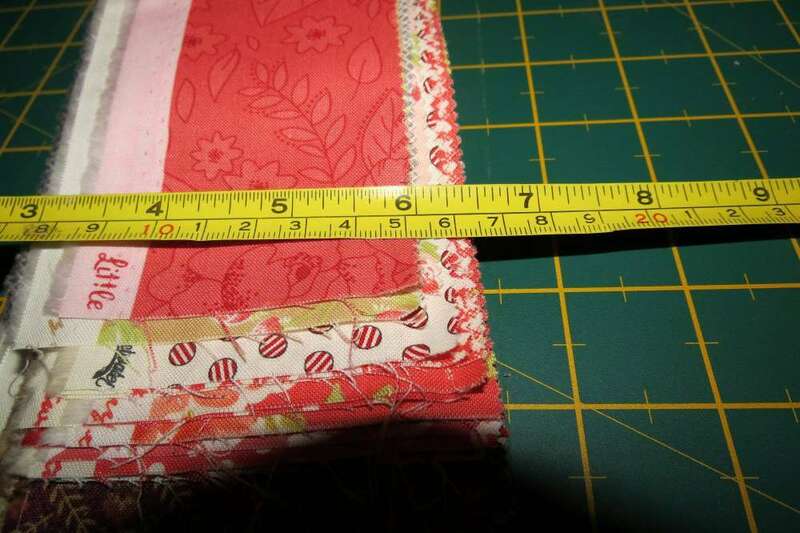 You have to decide whether to cut them into 2″ or 2 1/2″ strips unless you are going for a selvedge edge quilt or string block look. 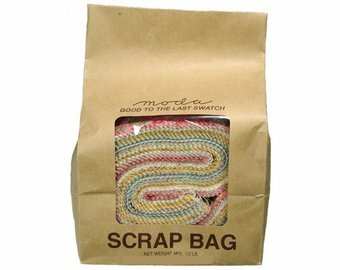 With Moda Scrap bags they contain selvedge and widths differ and one side is serrated. 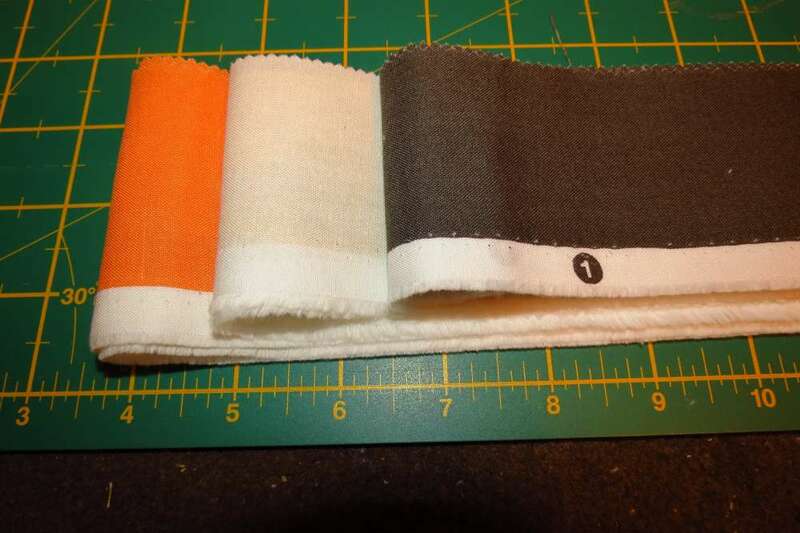 I then cut each strip down into either a 2 1/2″ strip or a 2″ strip removing the selvedge. I do this by putting the serrated edges together on each 30″ strip, folding into 4 & putting that serrated edge on my cutting mat against a solid line with my rotary cutter, & cutting on the selvedge to maximise the usable width. On some strips you can see a smidgeon of the white selvedge, but that will be hidden in the seam allowance. Even if there is no white printed selvedge you need to remove that too as it will have little holes in it. The first few didn’t go too badly, some random patterns and colours that really didn’t suit the overall look of the rest of the bag, that after cutting were put to one side for use later. 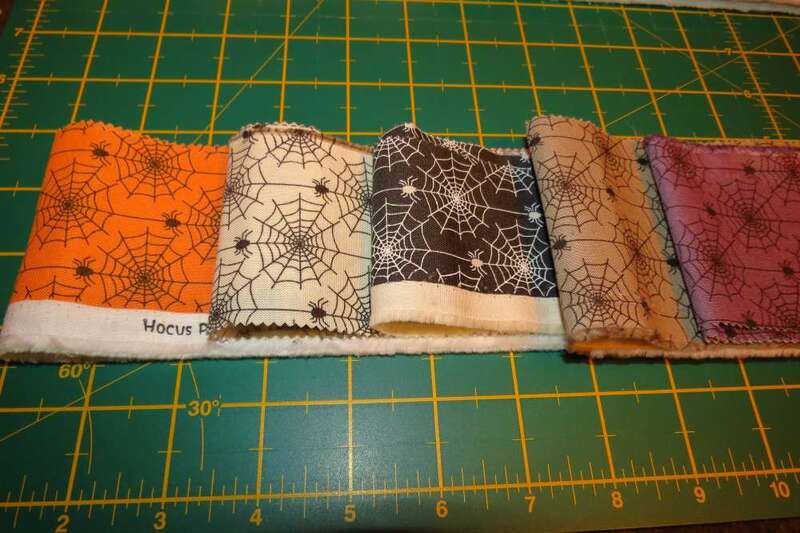 I had 3 identical Moda Scrap Bags which I bought based on the colours I could see, which were predominantly orange, black, grey, & cream and lots of dots. 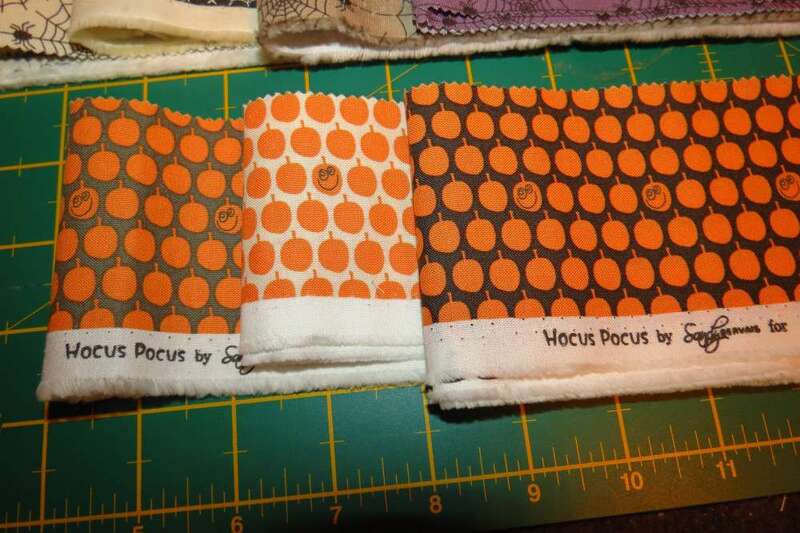 When I unwrapped them though I could see that it was actually a Halloween range called Hocus Pocus. 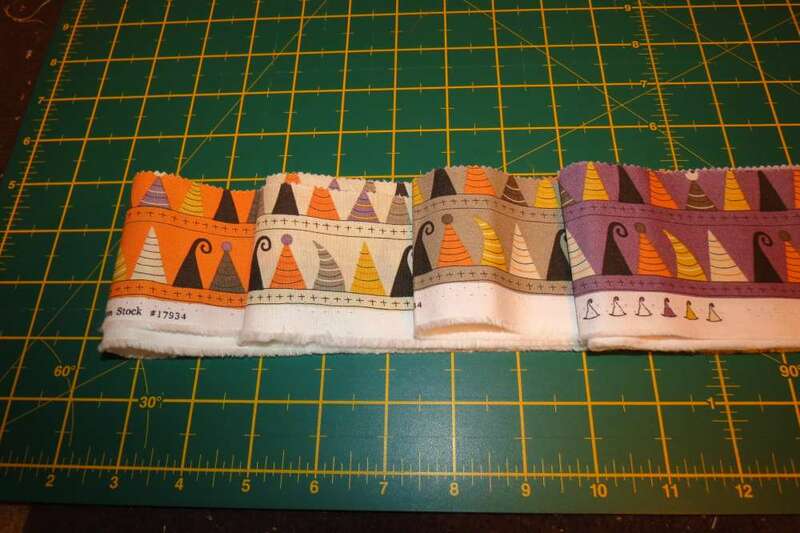 Initially I was disappointed because I thought it would not be suitable for the Quilts for Christmas Dinners project as too specifically seasonal, but then I looked more closely at the actual fabrics again. I sorted them into 3 piles of “Yes”, “Maybe” and “No”. 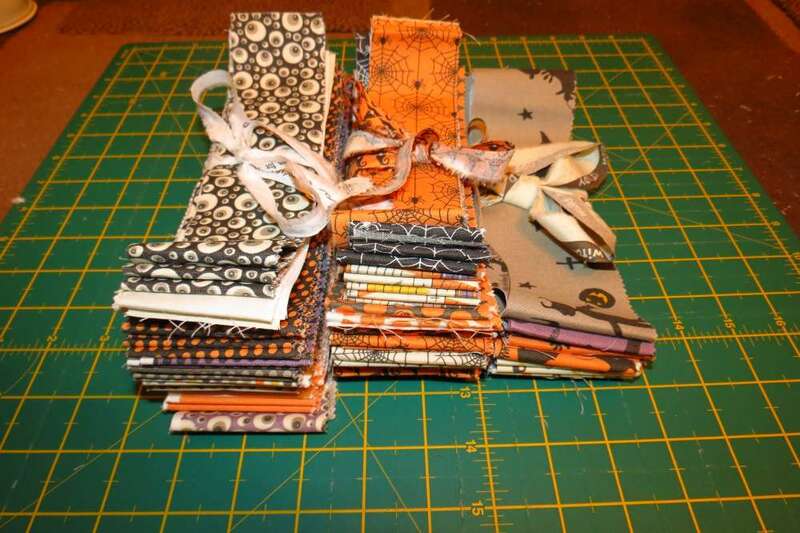 The “Yes” pile is all dots or solids without any reference to Halloween so that was fairly easy. 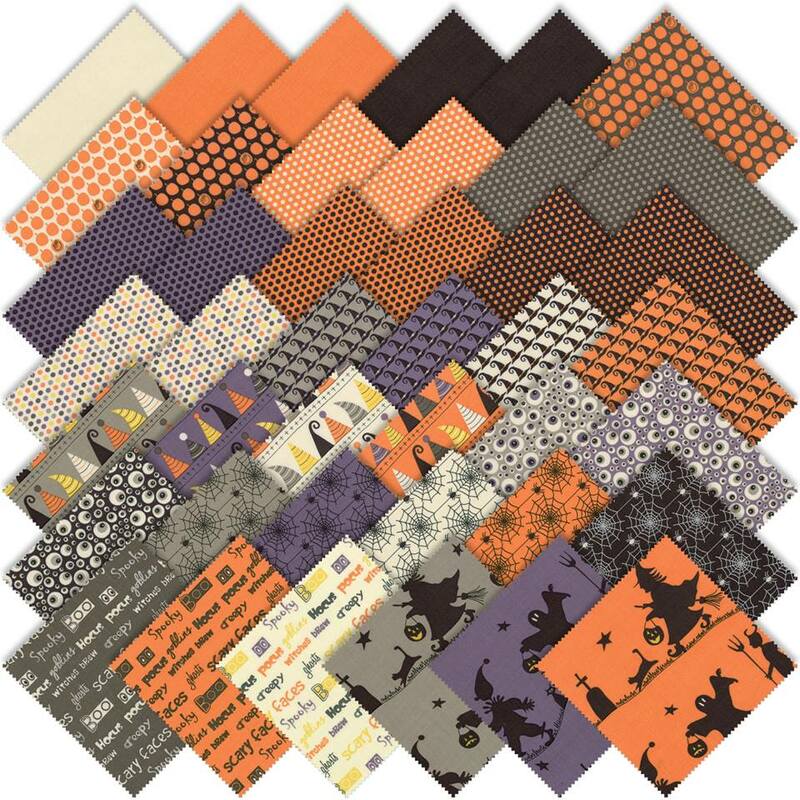 I then moved onto the “Maybe” pile which was a bit more difficult with witches hats, pumpkins & spiders webs, but might be liked by a Harry Potter fan, the colours are great and the designs are quite abstract so could work quite well in a quilt with the yes pile. The “No” pile was fairly easy to define with very obvious Halloween references. After Sorting the “Yes”, “Maybe” and “No” piles I started cutting. 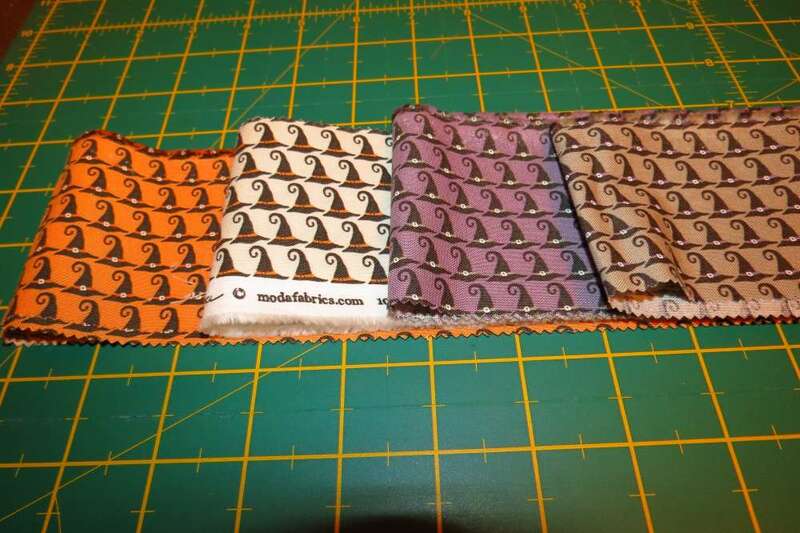 I was quite pleased with the end result because most were 2 1/2″ wide & the “No” pile was the smallest. 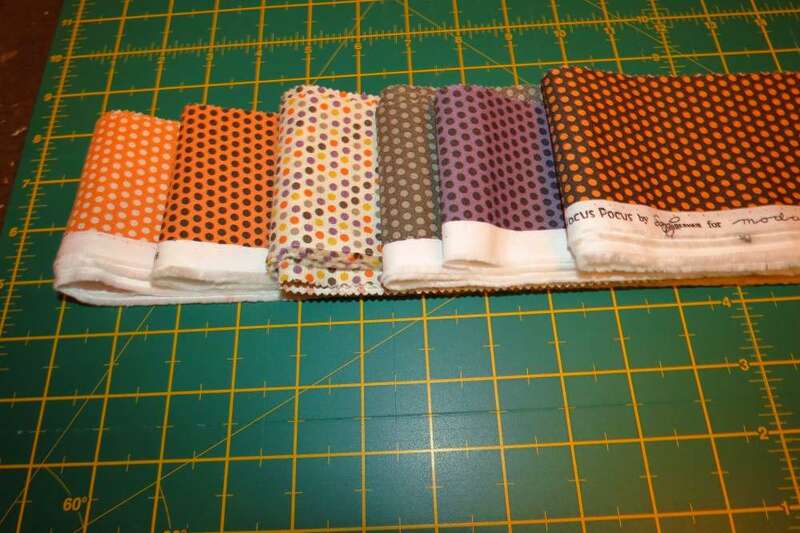 I bundled them all up and offered them, free of charge, to any other of our wonderful volunteers on the Quilts for Christmas Dinners Project via our own FB group for makers involved in the project. They were snapped up within a minute and will be off to make another big quilty hug for a care leaver. There are usually more 2 1/2″ strips than the 2″ and each strip is 30″ long. 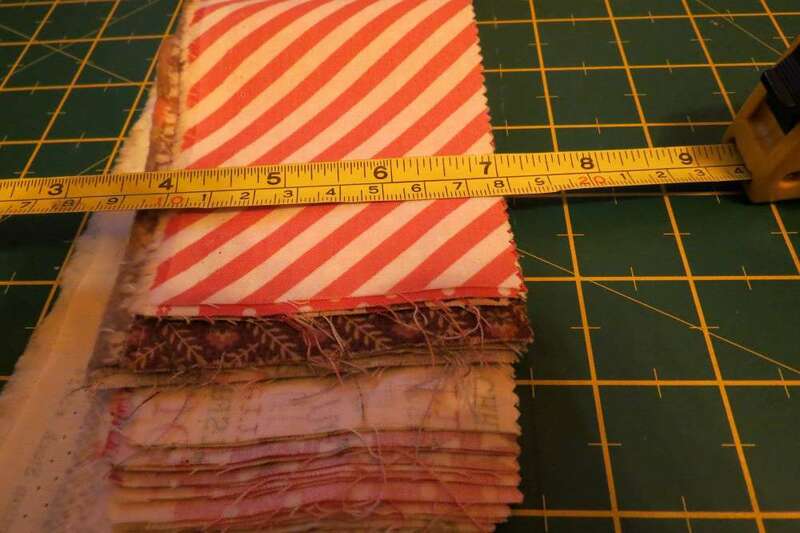 I have not counted the full number of strips that I have now cut from all the bags, but there is an awful lot, probably enough for 5 or 6 quilt tops in a jelly roll race, a string block, log cabin or rail fence quilt pattern. The Halloween one yielded enough for at least 2 tops. So if you have a Moda Scrap Bag, get sorting and cutting, I hope I have helped you in the process. 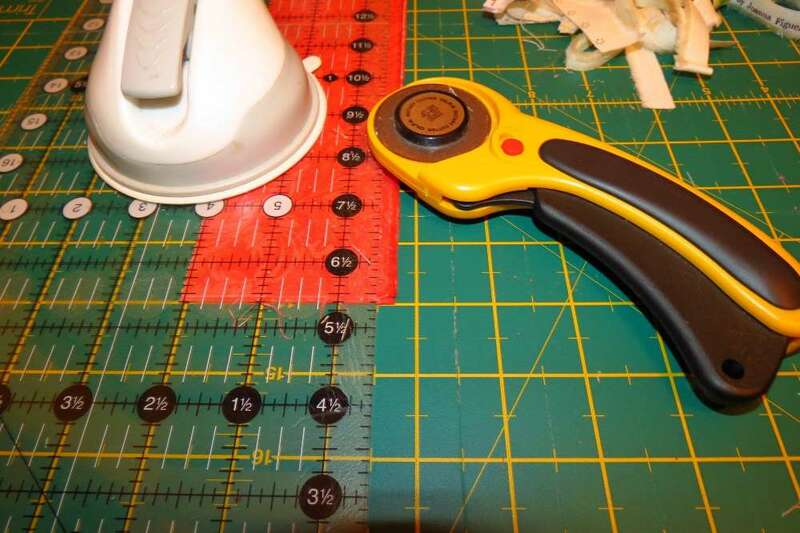 Pressing for Perfect Point: Part 2: Triangles Bead Broth: Simple flat back cabochon Christmas Somerset Star The Cheap Procrastinator – New you and away to sew! Just done something similar with 2 different scrap bags which sort of go together. Took out most of the floral strips and sewed the rest of the strips together. Some were quite wide strips and others fairly narrow. Total width about 31 inches. Need to press and cut into 3 strips. Then add sashing and borders to bring to correct size for another quilt for Christmas dinners. Surprising what we can make out of very little. PS loved your write up.